HOW WELL DOES IT SET? DOES IT MOVE WITH CURRENT & TIDE CHANGES? Stopping to explore nearby reefs and grab a quick bite of lunch, sailors often take for granted the safety and security an anchor provides. 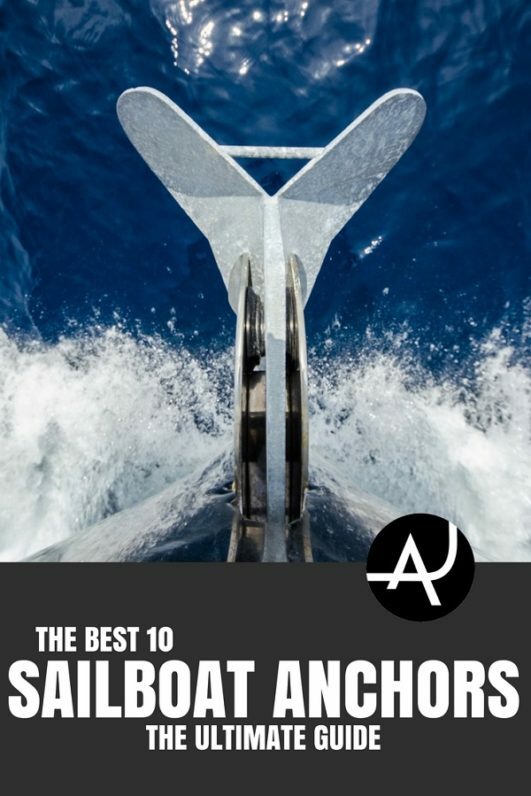 But if you’ve ever had to ride out a storm—or dragged anchor at night—you’ll soon learn the importance in choosing the best sailboat anchor for your vessel. To determine how strong your anchor needs to be, we must first understand the differences between old guards versus new generations. 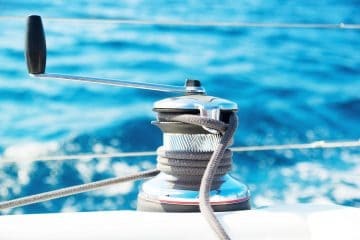 Choosing an anchor takes many factors into consideration, some of which tailor to personal sailing habits, your vessel’s size and even the body of water you frequently sail. While encouraging you to challenge your seafaring skills, we at The Adventure Junkies want beginner sailors and liveaboards to find safe anchorage during rough seas. Below, you’ll find a breakdown of common anchor types and when to use them. 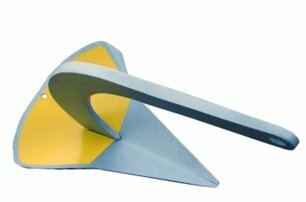 A beginner sailor might question which anchor is better for their vessel’s hull type. 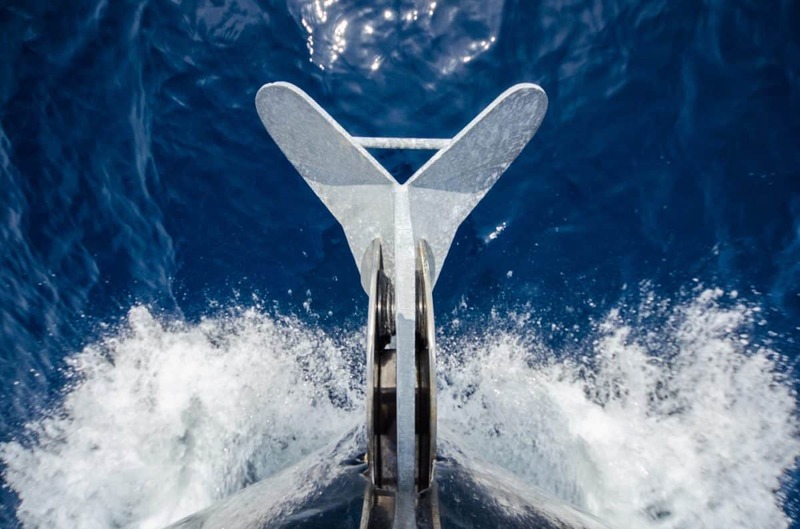 But to be clear–when it comes to choosing an anchor for either monohulls or multihulls (like catamarans), the type of anchor you choose depends more on your vessel’s size and weight. Vessel types are rarely–if ever–a deciding factor. Lakes and rivers do not require the same strength you would need for coastal waters and open seas. But take your sailboat on the Great Lakes, ICW (Intracoastal Waterway) or to brave a transatlantic journey, and you’ll need something more adequate. All anchors listed here are for coastal waterways, but may also be efficient for smaller bodies of water. To choose the correct anchor weight for your vessel, you need to know your vessel’s weight and length. Always verify the anchor manufacturer’s specifications and suggested vessel length, but know the numbers are typically inflated. I suggest to always bump up to the next size and sail with a heavier anchor than your vessel requires. Anchors are forged from a variety of materials; some metals more modern than others. Keep in mind when you purchase that manufacturers may carry anchor styles in a variety of materials. Aluminum anchors are lightweight by comparison, but come at a cost. 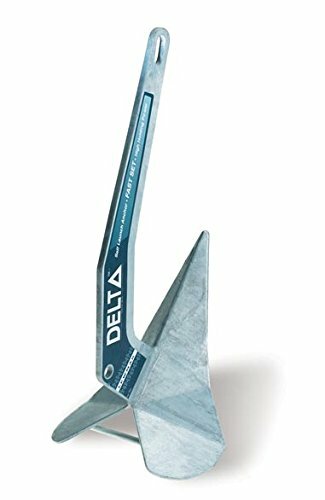 Less affordable than steel anchors, they are also not as strong. But sailor prefer them because–when set correctly–they have high holding power. Galvanized steel is a very strong and inexpensive metal. This material is perfect for sailors who don’t much care how shiny their anchor appears on the bow roller. But although galvanized metal is corrosive, it can wear over some time. Be sure to look for hot-dipped galvanized steel or plan for it to be re-galvanized. If you want your anchor to appear more aesthetically pleasing, stainless steel is the material of choice. Stainless steel is also more resistant to rust and corrosion, but keep in mind it scratches easily and can make anchors more costly. 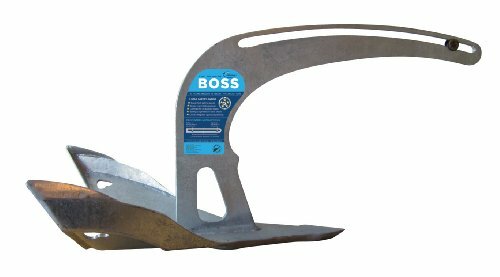 With nearly 3 times the holding power strength as regular steel, making most anchors with high-tensile steel relatively stronger–as long as the anchor sets well. A newer material offered for anchors is manganese steel. Manganese combines the strength of mild steels with high-impact durability for setting repeatedly in rocky seabeds. Beneath the water’s surface, you can encounter a variety of seabeds. This is one of the most important deciding factors in choosing a sailboat anchor. 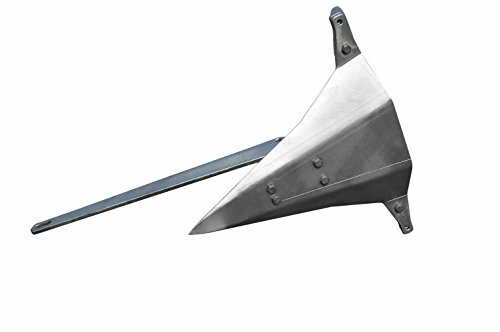 For liveaboards who find themselves sailing in a variety of seabeds, a plow style anchor or scoop is universal, whereas fluke anchors are perfect for flat sands and muddy bottoms. Rocky seabeds can secure anchors quite well, if not a little too well. Sometimes, sailors find themselves needing to dislodge anchors which become stuck. In these cases, it’s wise to use anchors with slotted shanks, making it easier to release trip lines. 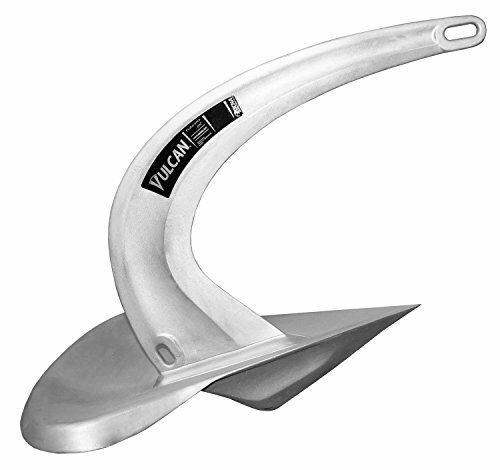 Muddy bottoms and sandy seabeds require fluke-style anchors with wide surface areas. And because mud can disguise underlying sediments, it also helps if the anchor can penetrate. 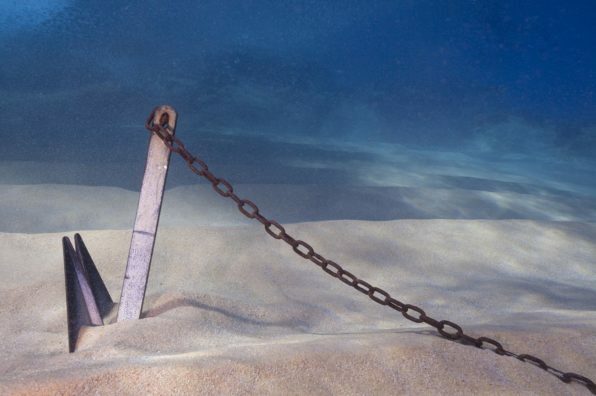 Fortress anchors are great for these seabed conditions. Sandy seabeds grab anchors very well, but challenges arise during shifting tides. 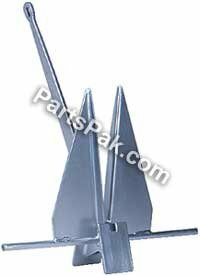 Hinged-shank fluke anchors allow pivoting and non-hinged scoop anchors rotate under the sand. Grass tends to be slippery, making it difficult for certain anchor types to grasp. In these seabeds, heavier anchors outperform engineered designs. 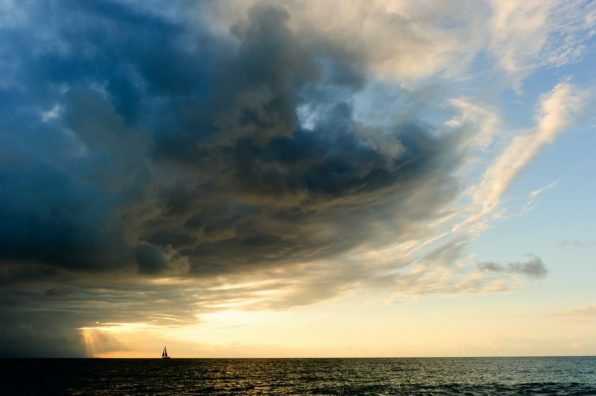 Even if you have a nightwatch partner, sudden storms overtake vessels and send them off course. 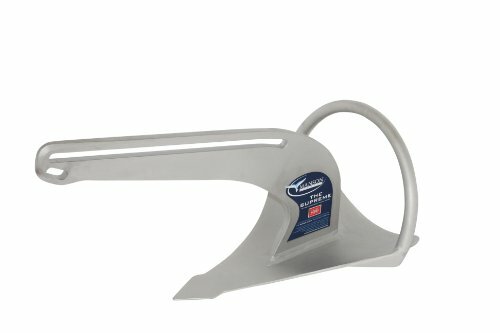 If you want to set anchor without the worry, many new generation anchors have been tested in hurricanes and outperformed old guard anchors in extreme weather. If an anchor lacks a way to position itself, it may not set as optimally as intended. You want to assure the anchor is engineered to self-right itself into position when it falls on the seabed. 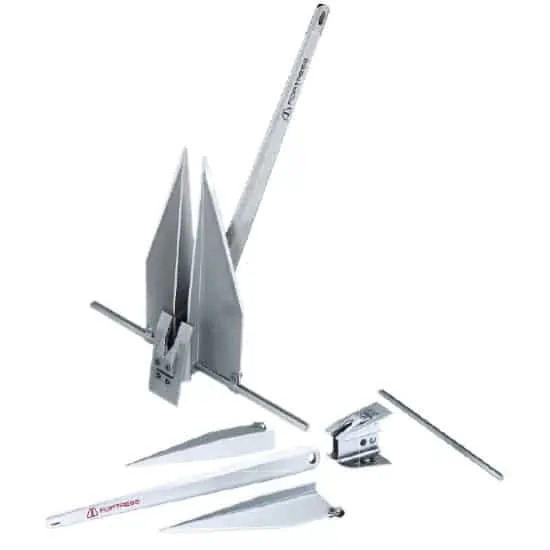 Anchors can set by using a combination of factors from roll bars to tip ballasts to chiseled fluke styles. The new generation anchors are designed with roll bars, reacting to flat seabeds by self-righting and rolling itself over. Originally engineered by Rocna, the design has been further adopted by more anchor manufacturers like Manson. In place of roll bars, tip ballasts are simply weighted on one end. 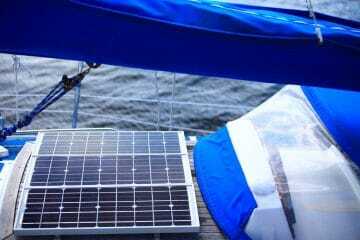 It will naturally tilt toward the tip ballasts edge, allowing the anchor to set when it’s dragged. Anchors can have both roll bars and tip ballasts. One challenging skill in dropping anchor is, in fact, getting it out again to reset. With some anchors, setting it on the first try is a matter of luck, especially when you’re unsure of your seabed condition. It’s important to be able to quickly reset, or you may find yourself strapping on a wet suit and goggles to retrieve it in frigid waters. Sailors should always carry two anchor varieties. This way, after reading a sonar signatures to determine your depth and seabed conditions, you can choose which anchor will best hold as well as the scope needed to reach. 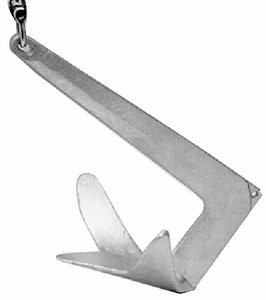 Hinged shank anchors are needed for sailing in waters where there are tidal changes. 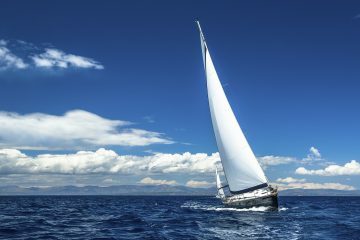 If the sailboat turns about, a hinged shank can pivot itself without having to be reset. But moving parts pinch so watch those fingers! Fixed shank anchors are fine anchors if you aren’t worried about tidal changes and currents. You may also rely on fixed shanks in muddy seabeds if they are also scoop-styles. As a former hospitality designer, Brette traded suites for tents. Now she offers her knowledge combined with a love for travel, to offer writing services for the hospitality, tourism, and outdoor recreation niches.